During the first IHO Assembly taking place from 24 to 28 April 2017 in Monaco, the represented Member States will elect the new Secretary-General and Directors. The nominees present themselves by answering the same 5 questions. This multi-interview is available at www.hydro-international.com/iho-2017. Admiral (ret) Luiz Fernando Palmer Fonseca (Brazil), nominated for Secretary General and Director, answers 5 questions. Each coastal state is unique and deserves specific treatment and engagement to understand the benefits of having a voice in the decisions of an organisation that deals with matters concerning their own interests at sea, for the safety of navigation and the development of the Blue Economy in a sustainable and protected environment. Developing countries will be given special attention to receive support to improve their hydrographic capacities once they become Member States, in accordance with the IHO Capacity Building Strategy. On two fronts. First by supporting developing countries to gain access to already available opportunities in well-established hydrographic services. A good example of such an initiative is the scholarships for Category ’A’ and Category ’B’ hydrographic programmes for the South American and African countries at the Brazilian Hydrographic Service (DHN). The same opportunities are available in many other hydrographic services and the IHO will help to link those willing to provide support and countries in need. The second target is to enable the IHO to secure sustainable funds from donor agencies to regional projects in priority areas. Funding agencies can only provide funds by approving comprehensive and well-developed projects organised by professionals. The IHO will support the Regional Hydrographic Commissions to develop such projects. The IHO is instrumental in putting Hydrography on the agenda of all organisations related to the oceans, seas and waterways. Continuous engagement with these organisations will allow the IHO to identify the synergy of common actions, especially within the concept of the ’UN delivering as one’. This principle has been applied by the IHO to the IMO, WMO, IOC, IALA, IAEA and FIG when developing Capacity Building activities for the benefit of the Hydrographic Community. The IHO Secretariat will work with Member States to increase engagement with those key elements related to the UN Sustainable Development Goals (SDG), especially to the SDG 14 related to the oceans, seas and marine resources on all fronts. Private industry plays a crucial role in safety of navigation and protection of the marine environment. This can only be achieved by creating an atmosphere of confidence and respect, where all gain. I support the continuous engagement with industry at all levels, from development of standards to promotion of best practices, support to Capacity Building, use and re-use of hydrographic data and the broad relationship with all sectors of society. The IHO Secretariat will be the facilitator of this engagement that will benefit all stakeholders. Hydrographic data is a key element in a national economic infrastructure and hydrographic services have the challenge to insert their Marine Spatial Data Infrastructures (MSDI) in the broad National Spatial Data Infrastructures (NSDI). Making data discoverable and available will enable the general public to re-use data in all possible ways. 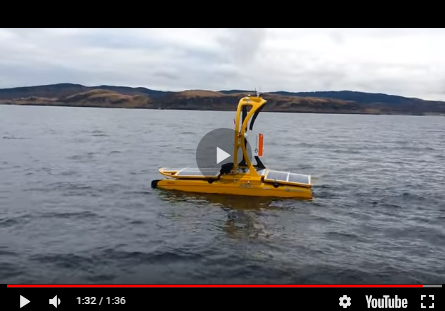 It can be for oceanographic and meteorological modelling, tsunami alerts, coastal planning and management but also for products and services not envisioned by the Hydrographer. We should not underestimate the power of spatial data and how it can trigger economic and social development. The IHO is also a key element to provide stimulus to a balanced development of regional and international MSDI initiatives working with other bodies.